The AirCam line of H.264 megapixel cameras combine advanced design, powerful performance with market leading cost-effectiveness. 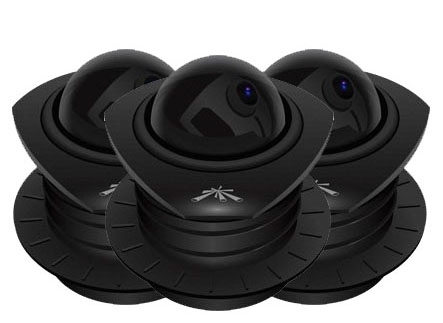 There are a variety of Ubiquiti AirCam cameras to choose from for optimizing application specific deployments. Sensor: Progressive Scan RGB CMOS ¼"